Is There a Link Between Periodontal Disease & Heart Health? Simply put – yes there is. Actually, periodontal (gum) disease has been linked to numerous chronic and systemic illnesses, including diabetes, Alzheimer’s, pre-term childbirth, and yes, heart disease. It’s important to understand that, in the early stages called gingivitis, gum disease is difficult to detect, but it’s always best to receive treatment at this point when your periodontal disease is most treatable. As gum disease advances to the periodontitis stage, it becomes more difficult to treat, and can lead to serious health complications. How can you make sure to keep your gums healthy? It’s simple. Find a San Marcos dentist you trust and feel comfortable with, and make sure you visit them at least twice a year for dental checkups and teeth cleanings. In this post, we’ll talk a little more about the link between gum disease and heart health and tell you more about how visiting a San Marcos dentist regularly can help you avoid oral and whole body health concerns. February is heart health month, and your San Marcos dentist wants to help you keep your smile and heart healthy this month – and the rest of the year. Gum disease is a chronic oral health concern that occurs due to a buildup of plaque and tartar at or under the gum line. This acidic plaque and tartar irritate soft tissue, creating sores and inflammation. Eventually, the disease begins to destroy the supportive soft tissue and bone that holds teeth in place, leading to shifting teeth out of alignment as well as tooth loss in the most advanced stages. How Does Gum Disease Affect Heart Health? For years dentists and physicians have noted an anecdotal link between patients who had both gum disease and heart disease. However, there has never been a clear, scientific link between the two – until now. 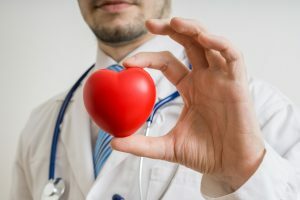 Researchers at the University of Queensland School of Dentistry in Brisbane, Australia discovered a specific type of oral bacteria present in the majority of patients with heart disease. They believe the oral bacteria enter the system through sores in the mouth caused by gum disease. The body then triggers inflammation to fight the bacteria and plaque it recognizes as infection. This inflammation blocks the flow of bacteria and plaque through the arteries. Leading to fatty plaque deposits that can cause numerous cardiovascular concerns, including elevated blood pressure, atherosclerosis, heart attack, and stroke. How Can the San Marcos Gentle Dental Team Help? 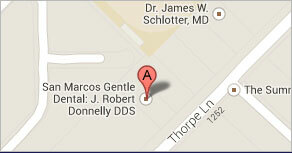 At San Marcos Gentle Dental – our treatment philosophy is right there in our name. 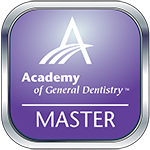 We love helping patients achieve and maintain their healthiest smiles. Every member of our team is dedicated to offering treatment that is gentle and effective. We want patients to be comfortable in our office and look forward to visiting us twice a year for dental care. If we determine you’re suffering from gum disease, we offer a variety of periodontal therapies to help you renew your oral health. From more frequent teeth cleanings to advanced services like scaling and root planing, we’ll partner with you to get the healthy, happy smile back on your face. Most importantly, by receiving effective treatment for gum disease, you limit your risk for related whole body health concerns like heart disease and stroke. Ready to learn more about how we can help you lead a healthier life? Give San Marcos Gentle Dental a call today. We look forward to having the opportunity to partner with you to achieve your optimal oral health. Comments Off on Is There a Link Between Periodontal Disease & Heart Health?